Walking the Dog, How Risky Could It Be? by STEPHEN S. SOONDAR, D.P.M. Those of us who own dogs understand the daily obligation of walking and playing with our four-legged companions. 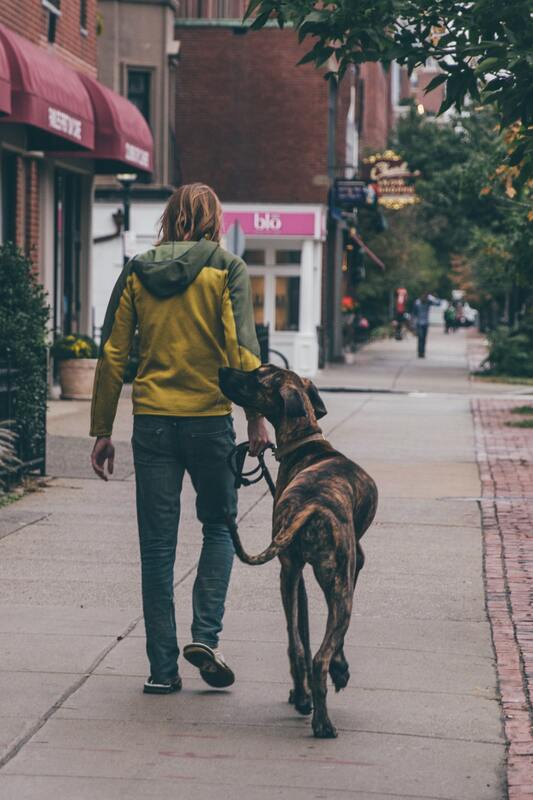 Taking the dog for a walk provides an excellent opportunity for both owner and pet to practice some light exercise and spend quality time together. Even a quick stroll around the block is excellent for practicing our 30 minutes of brisk walking each day. The privilege of walking the dog comes with some inherent risks; risks that can result in a visit to your podiatrist. Falls and other accidents are common among all ages and it should be understood that regardless of how fit you might be, mishaps can happen. Rainy or snowy walks and going out at night all increase the risk of slipping or tripping when walking the dog. The most common injuries come when the leash tangles among the person’s legs. Tripping over the leash can result in scrapes, bruises, fractures, sprains, and even tears. Similarly, harm can occur when the dog unexpectedly pulls or lunges. Depending on how the fall happens, it is not unusual for multiple injuries to occur specifically to the wrist, foot or ankle, and even to the hip, and shoulder. Maintaining a sense of balance is key when tethered to an excitable, moving animal regardless of it's size. In recent years the amount of dog walking injuries due to cell phone distractions like texting or scrolling has been on the rise. A good way to be safe while walking the dog is to wear proper, sturdy footwear, to be familiar with the route you plan to walk, and to use a leash that prevents the animal from lunging or dashing out. It is favorable to bring a flashlight if walking at night to avoid unseen obstacles. Ultimately what’s important is to enjoy your time spent with your furry friend and to be completely mindful of the experience and environment you find yourselves in.